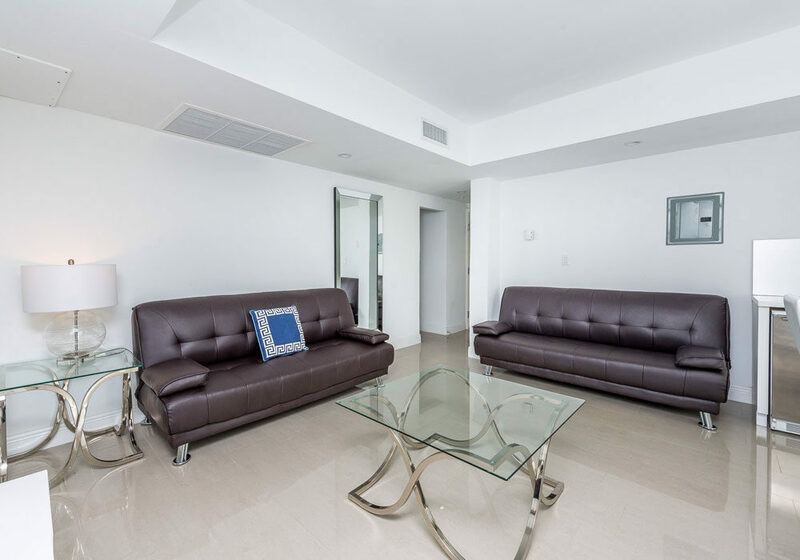 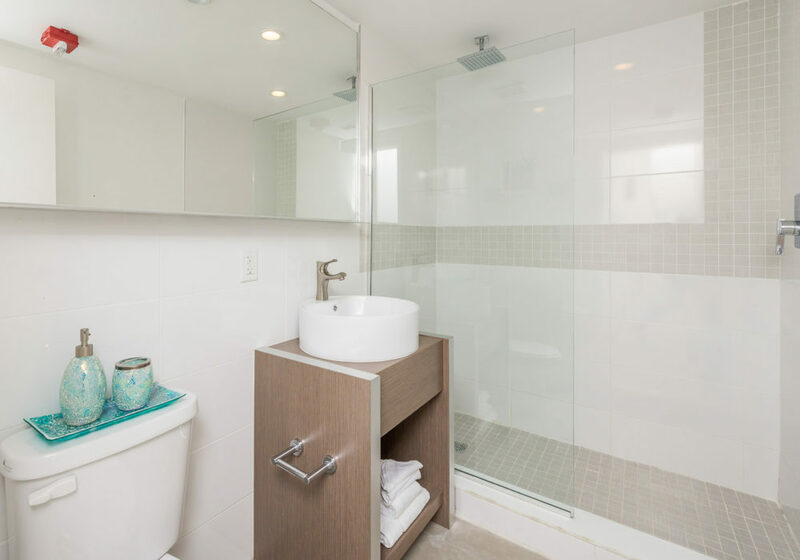 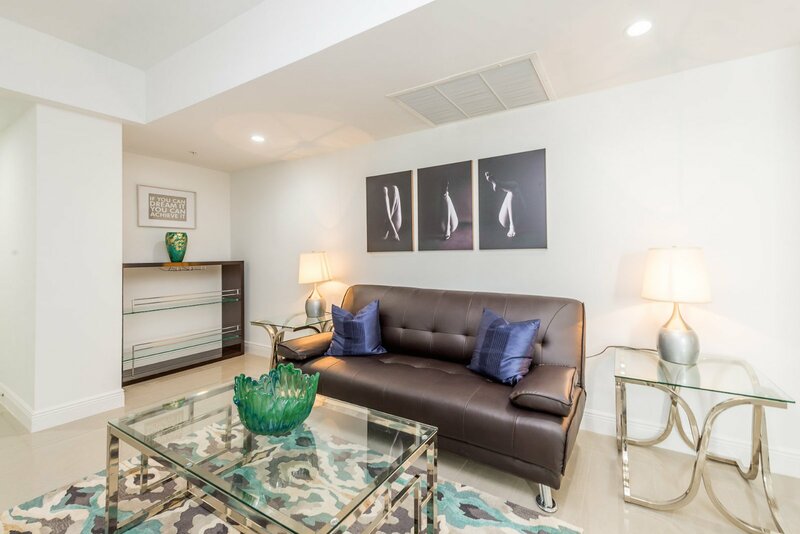 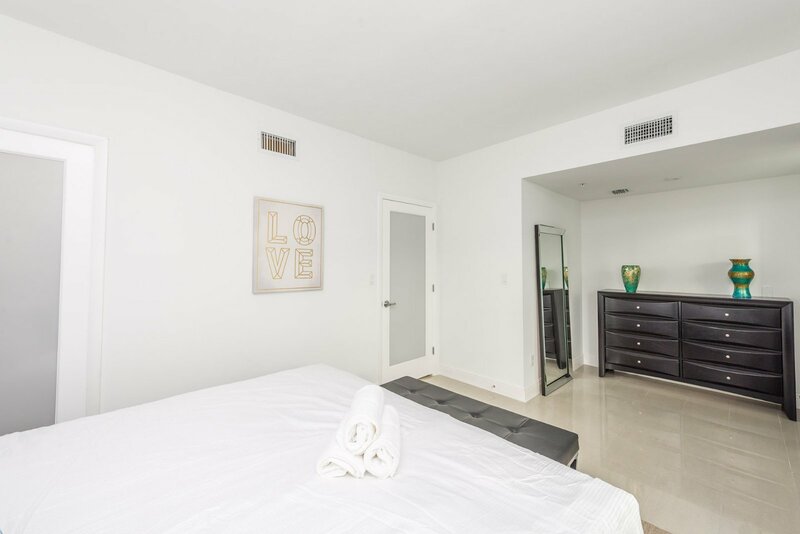 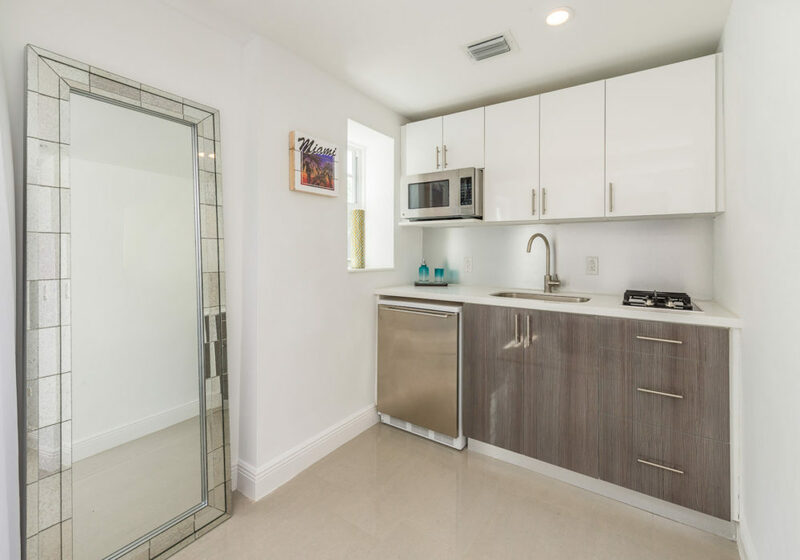 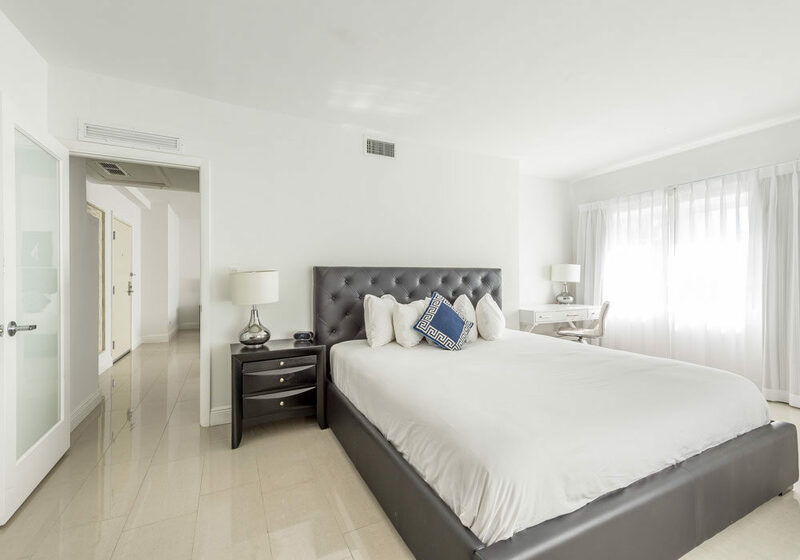 Artfully appointed and full of thoughtful amenities, Hotel Belleza's apartment-style accommodations provide a tranquil escape from the excitement of Miami’s South Beach. 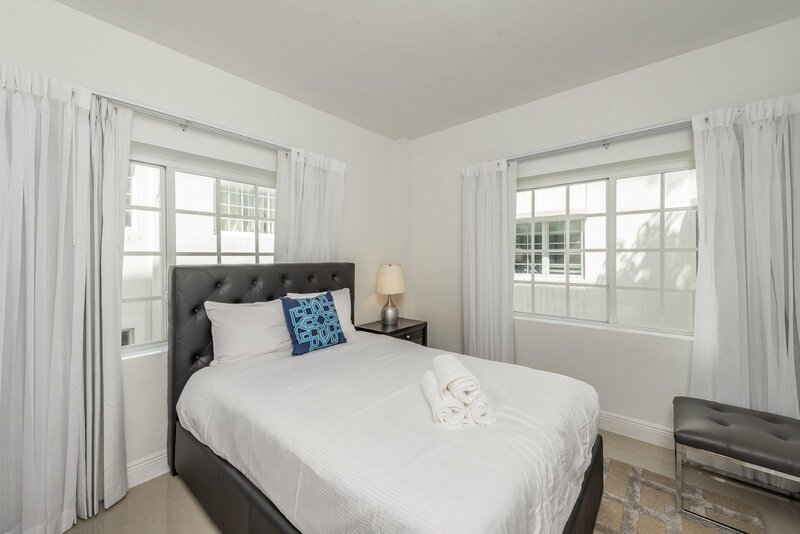 Find your urban sanctuary in our tastefully designed Standard Queen Rooms, which accommodate up to two guests. 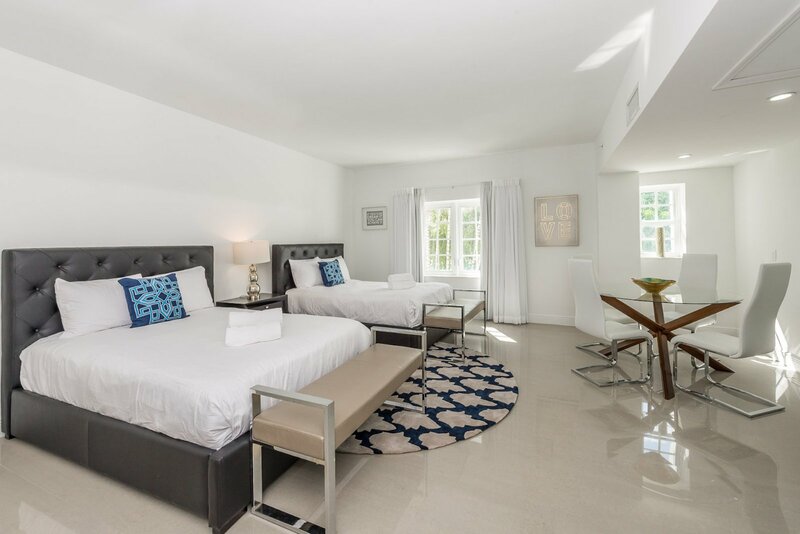 They feature clean design with bright pops of color, a plush queen bed, a comfortable work desk and a flat-screen TV. 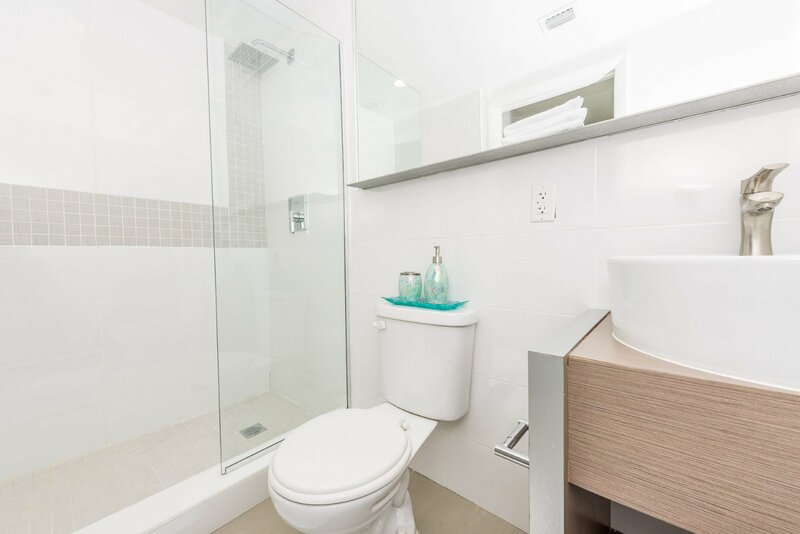 Additional perks include free Wi-Fi, a mini-fridge and premium bathroom products. 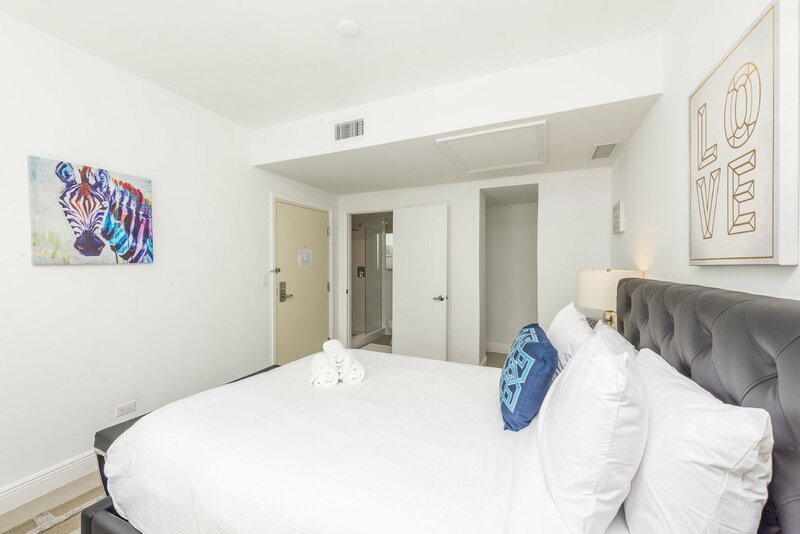 Relax and be productive in our airy One Bedroom Suites, which offer free Wi-Fi and a separate corner bedroom with a queen bed and a well-lit workspace. 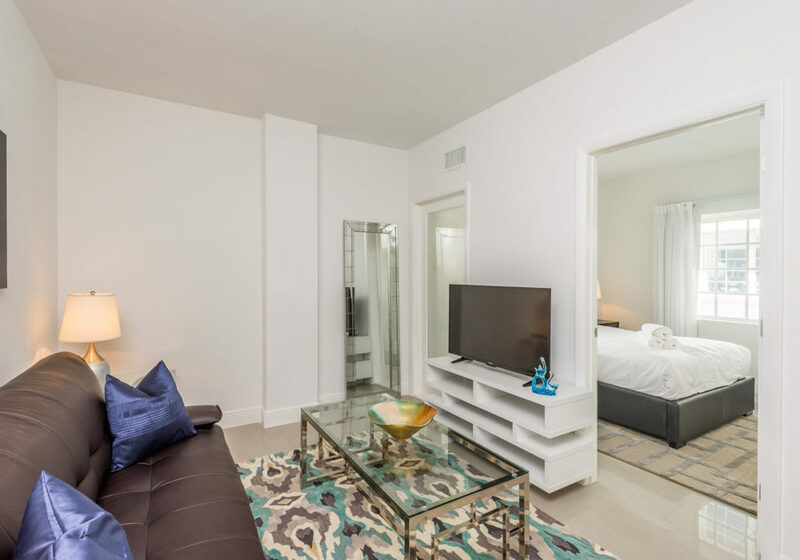 The living room includes a pullout sofa bed and a flat-screen TV. 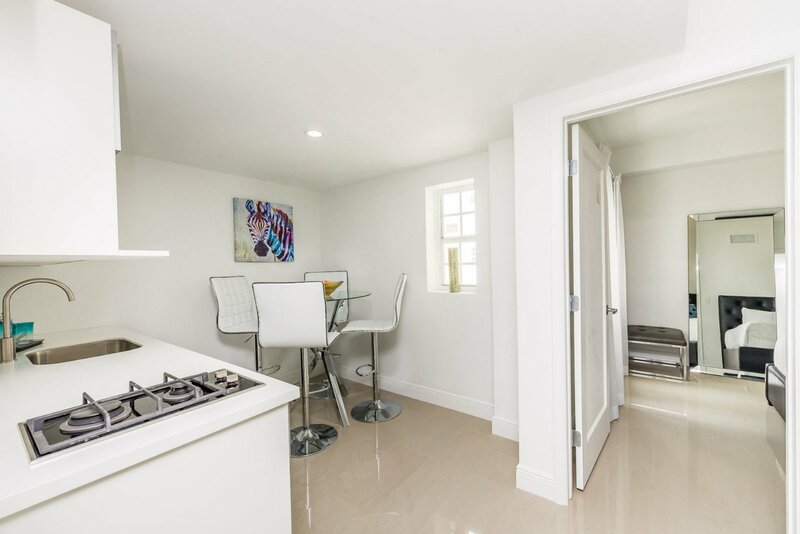 The full kitchen includes a dining table with seating for two. 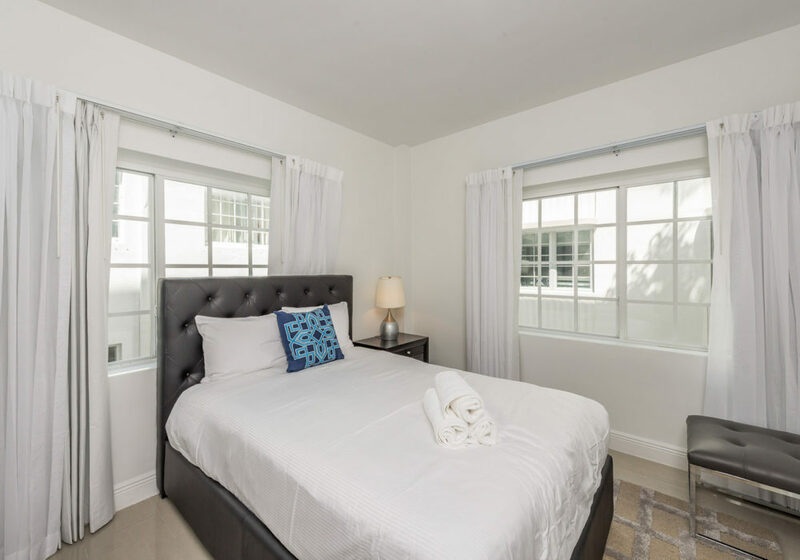 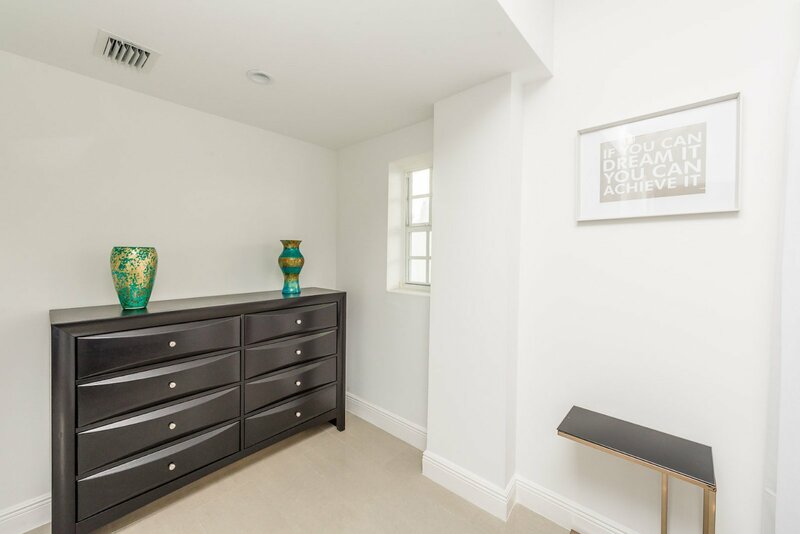 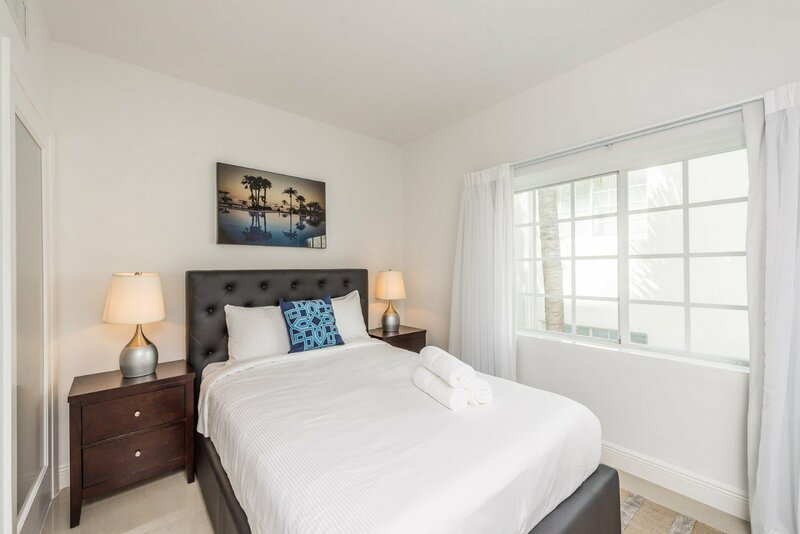 Designed for up to two guests, our King Studio Suites combine modern functionality with relaxed South Beach style. 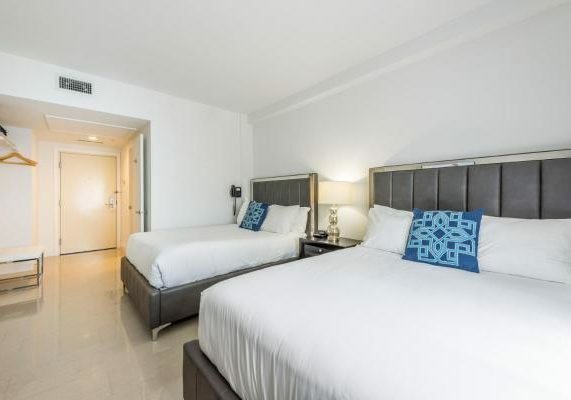 The light-filled bedroom offers a king bed and a flat-screen TV, and the sleek bathroom boasts an oversized mirror, a walk-in shower and premium toiletries. 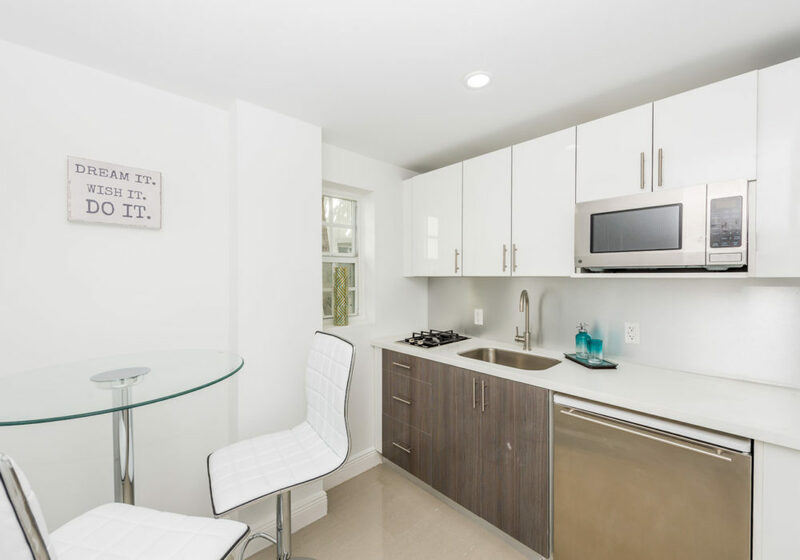 These suites also feature a full kitchen and free Wi-Fi. 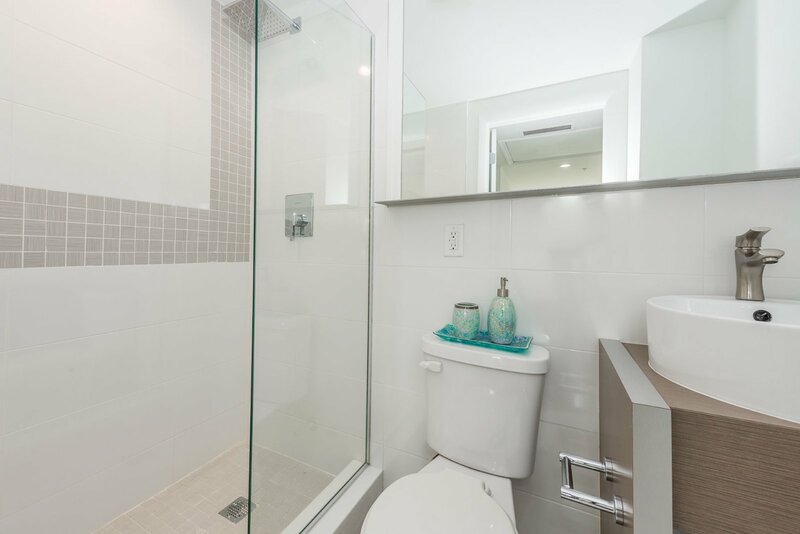 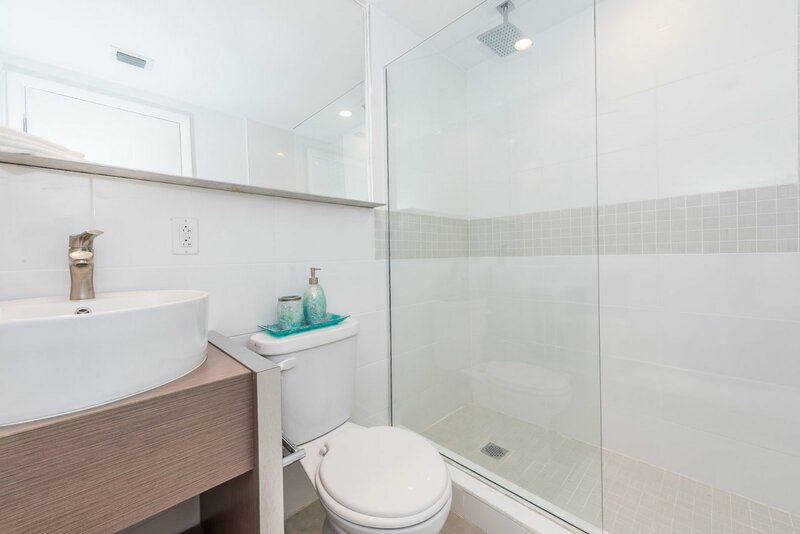 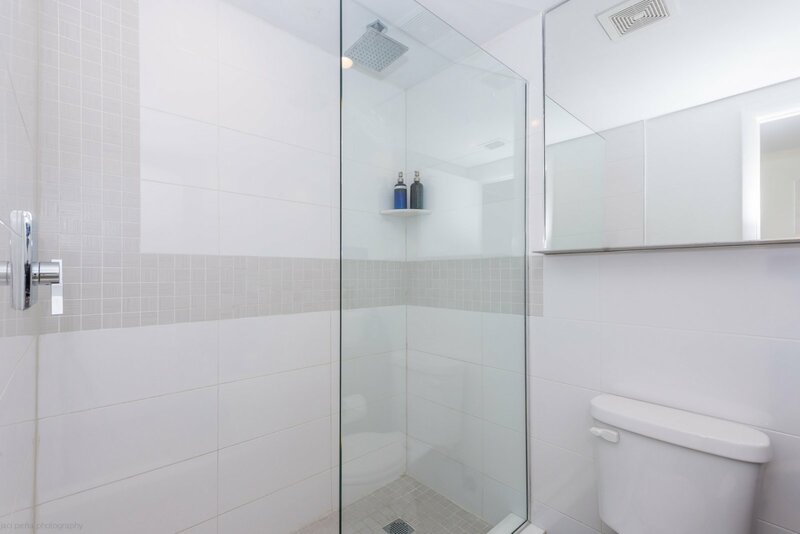 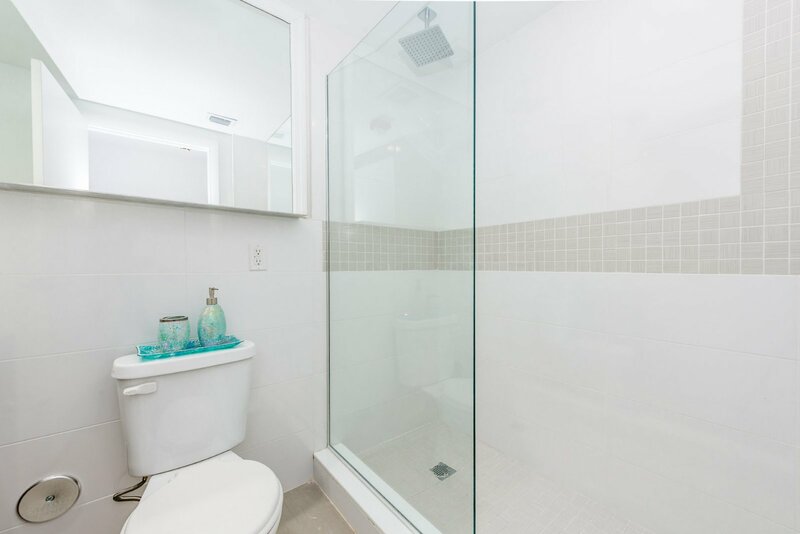 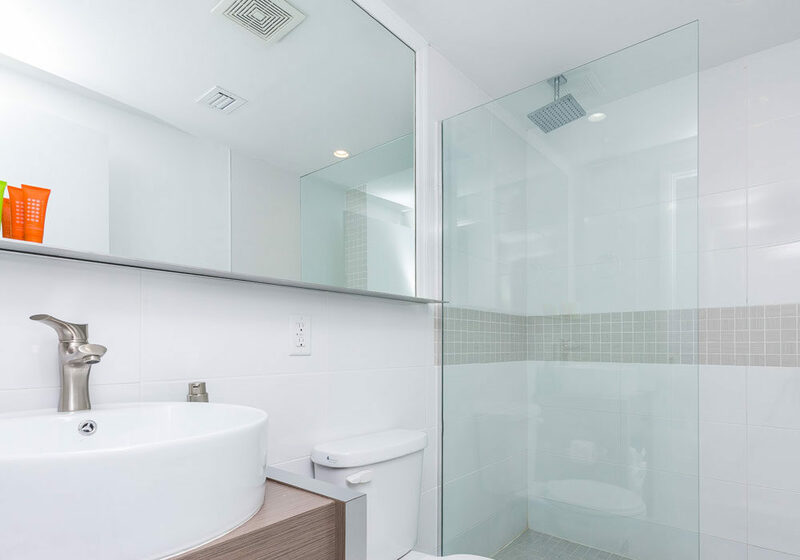 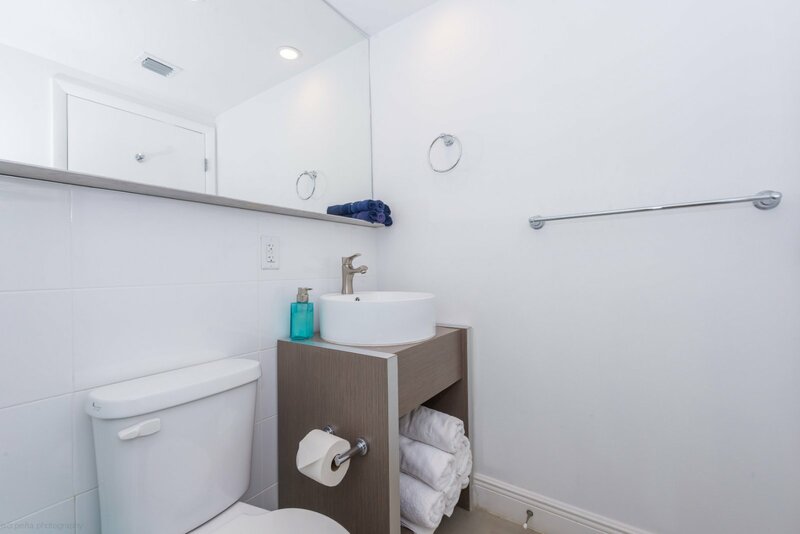 ADA Accessible facilities: Roll-in shower with built in seating, grab bars for shower and toilet, widened ADA compliant door with sufficient maneuvering space, visual notification device for incoming telephone calls and visual alarm connected to building's emergency alarm system. 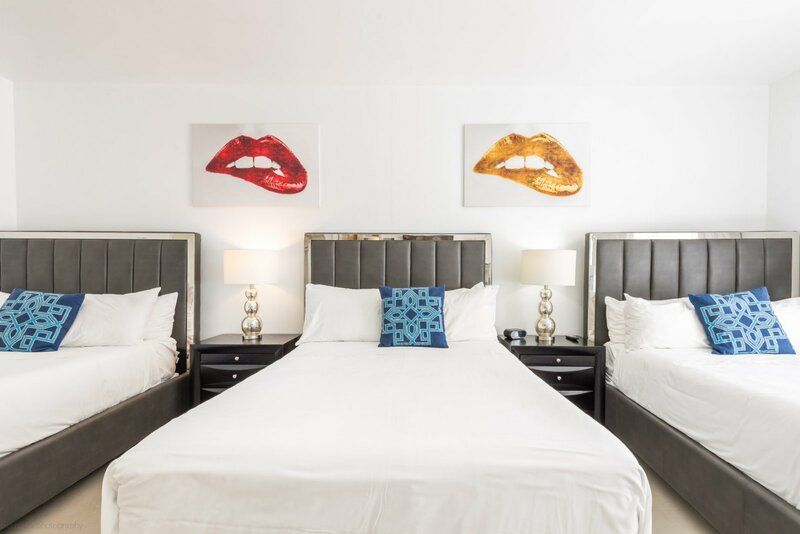 Relax in these sophisticated suites, which sleep up to three people and include a separate bedroom with a queen bed and a desk. 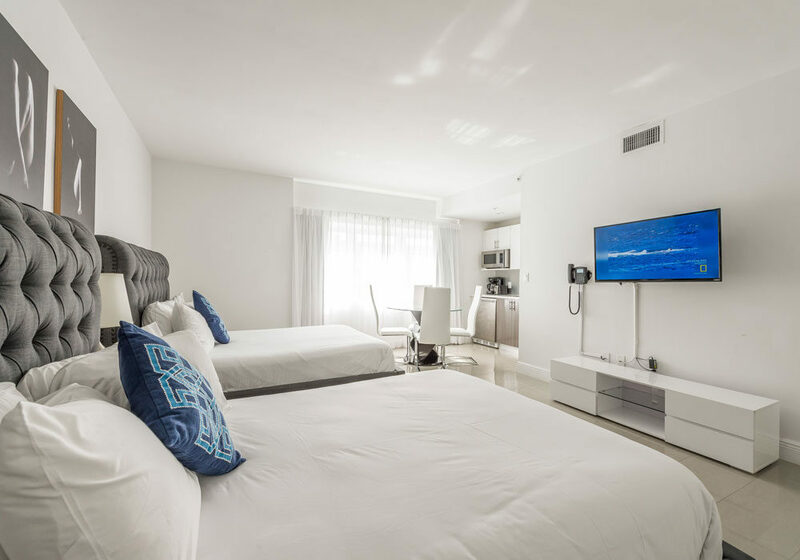 The living room features a flat-screen TV and a pullout sofa bed, and the in-suite kitchen offers modern appliances and a dining table for two. 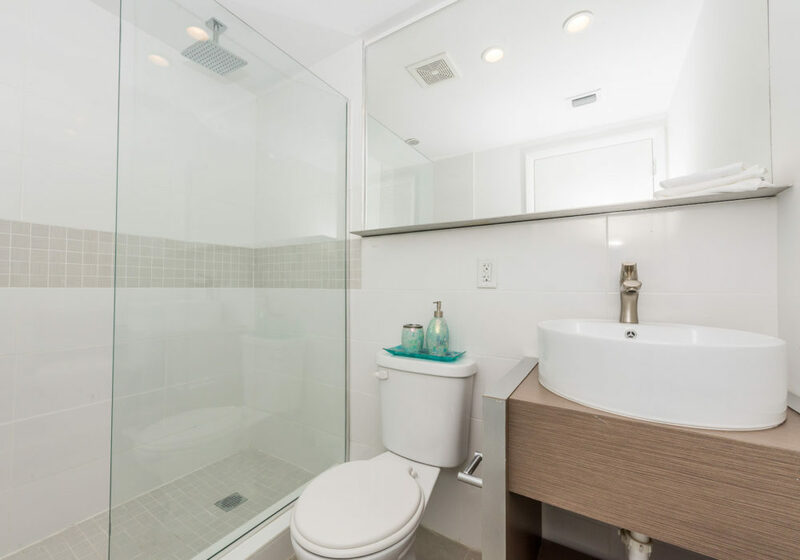 Additional perks include free Wi-Fi and premium bath products. 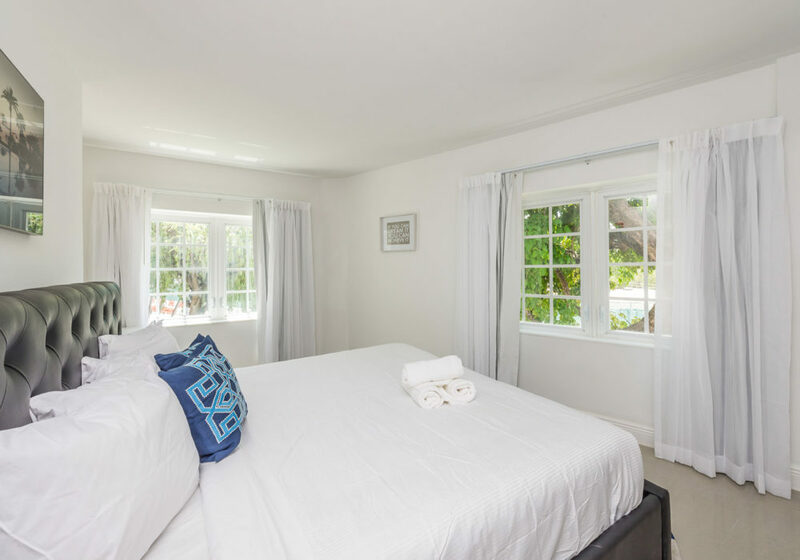 Settle in to these family-friendly rooms, which offer two double beds and accommodate four guests. 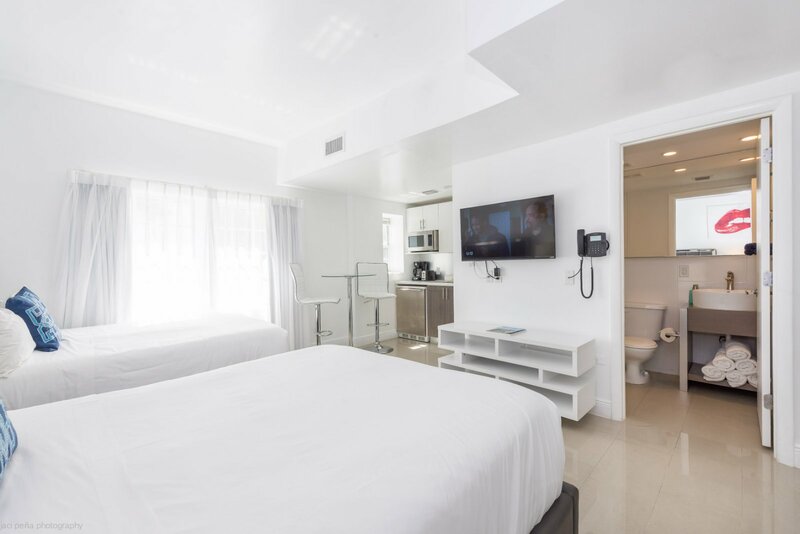 Our Double Rooms are simply yet elegantly appointed and include a well-lit work desk and a flat-screen TV. 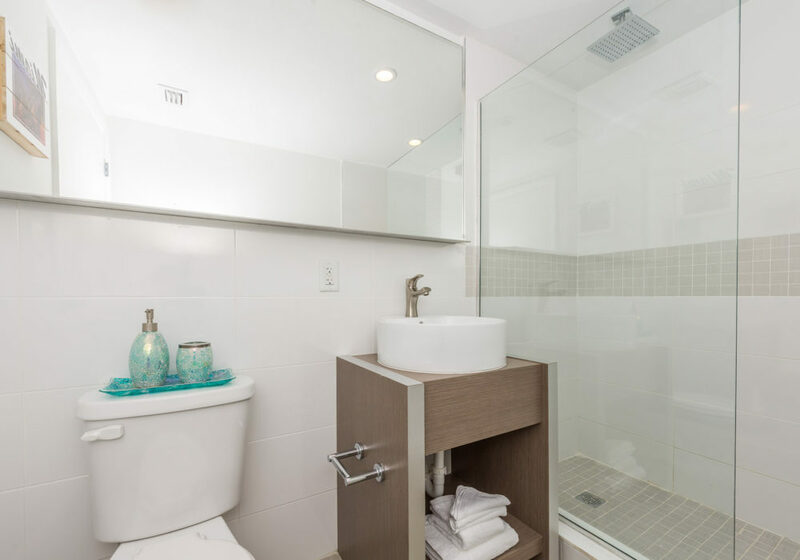 Additional amenities include free Wi-Fi, a mini-fridge and premium products in the bathroom. 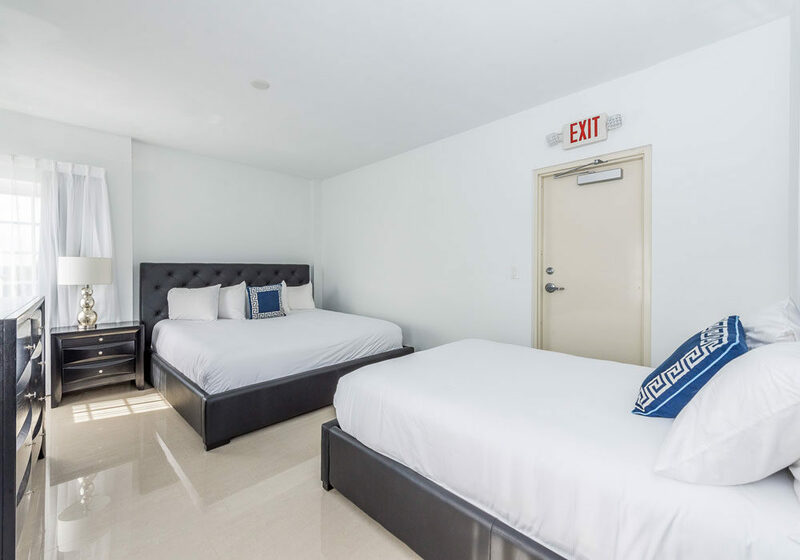 If you're traveling to South Beach with kids, you'll appreciate the extra space that our Double Studio Suites provide. 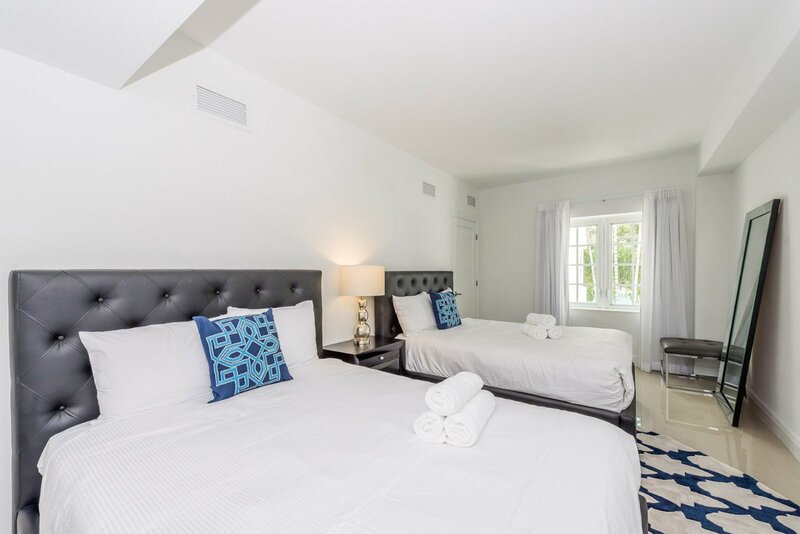 These accommodations sleep up to four guests, and include two double beds, free Wi-Fi, a bathroom with premium amenities and a full kitchen. 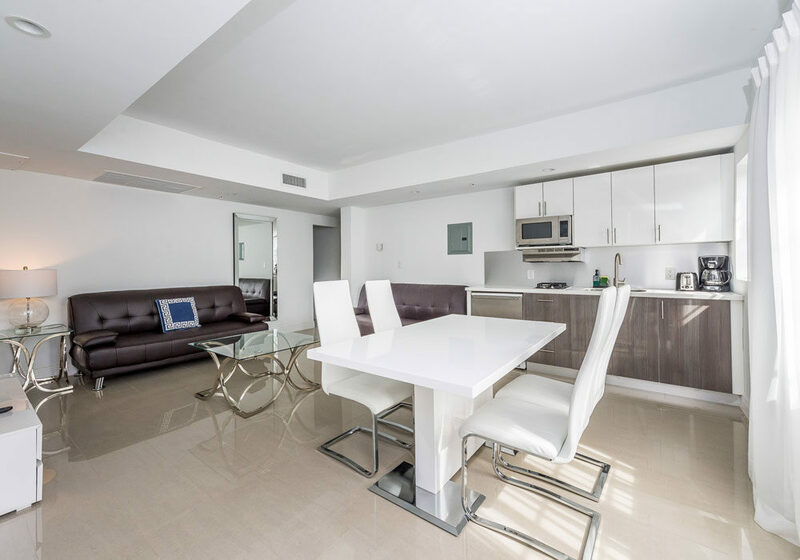 Enjoy a meal in the dining area or relax in front of your flat-screen TV. 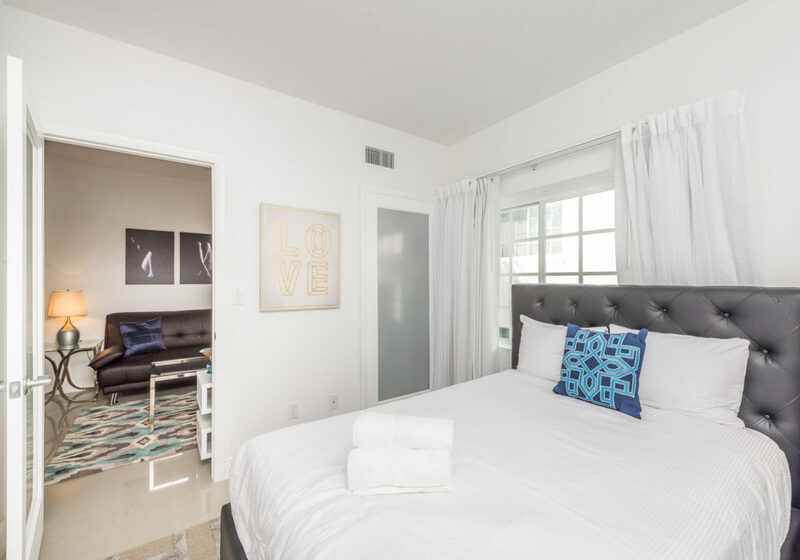 Double Deluxe Studio Suites are intuitively appointed with one king bed and one double bed, as well as a dining area and a bathroom with premium products. 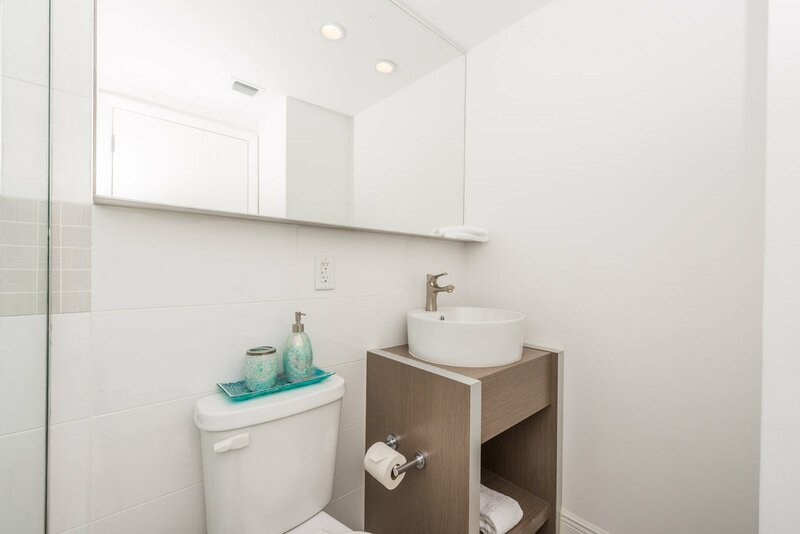 Additional amenities include free Wi-Fi and a mini-fridge. 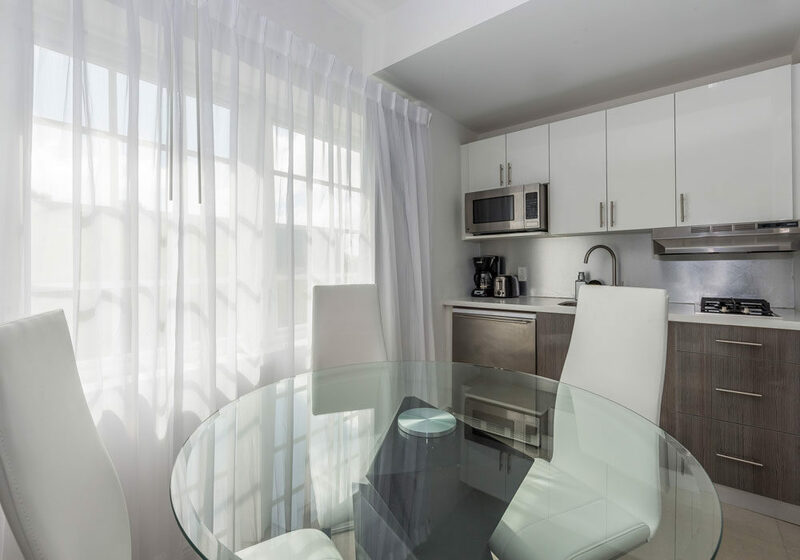 Infused with warm natural light from oversized windows, these suites provide a restful haven in Miami Beach. 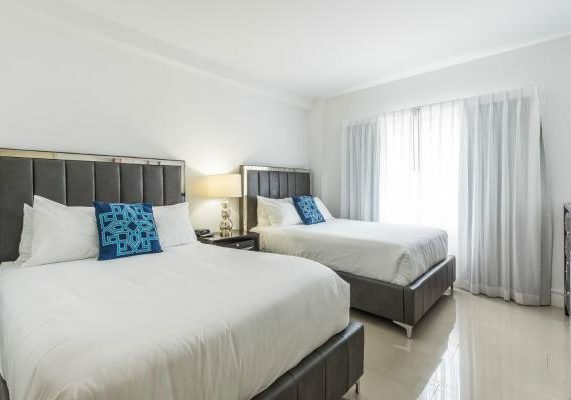 They include free Wi-Fi and a separate bedroom with a king bed and a desk, as well as a double bed and a pullout sofa bed in the living room. 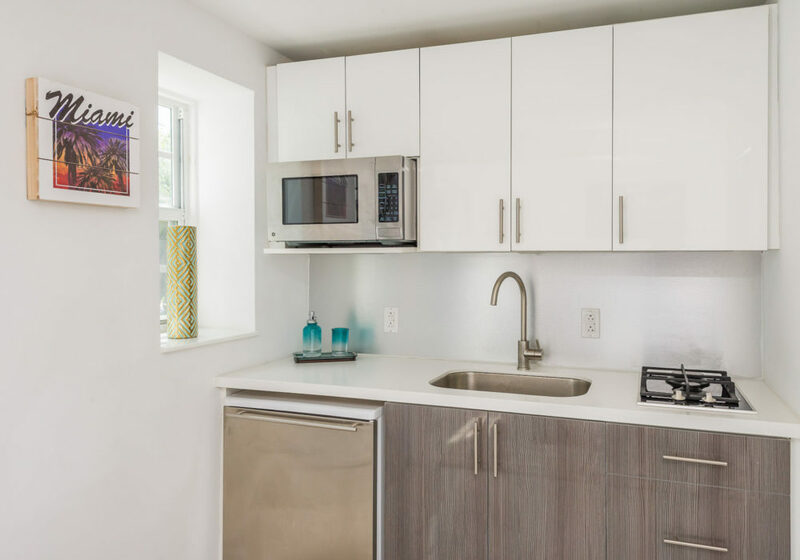 The kitchen offers all the tools needed to prepare a delicious meal. 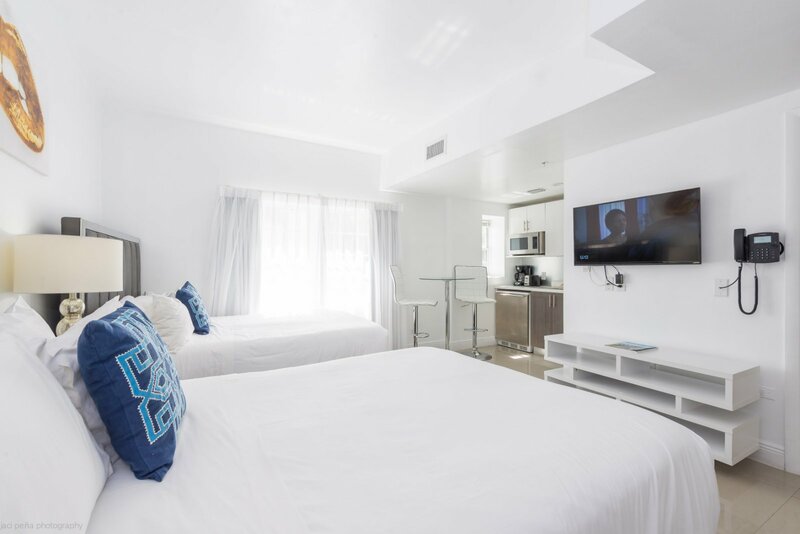 Our immaculately designed Double Premium One Bedroom Suites offer space for up to six guests. 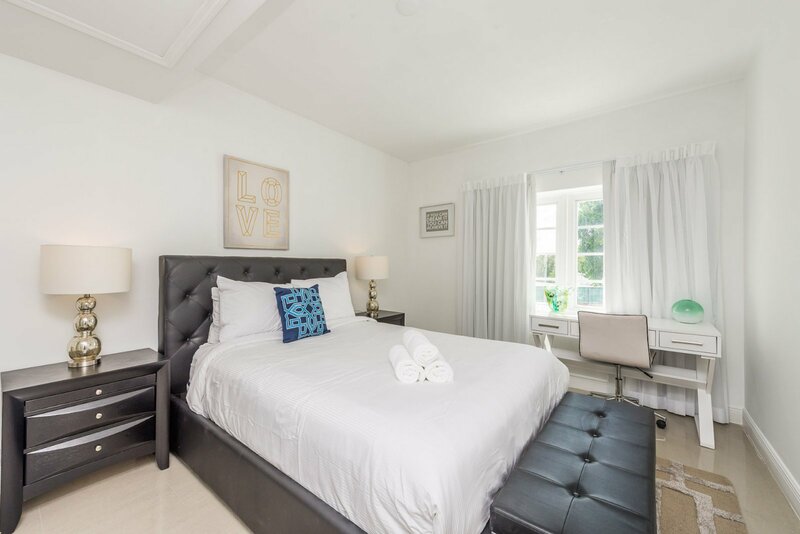 Light finishes and landscape windows lend an air of relaxed luxury; a separate bedroom contains a king bed and a double bed, while the living room includes two pullout sofa beds. 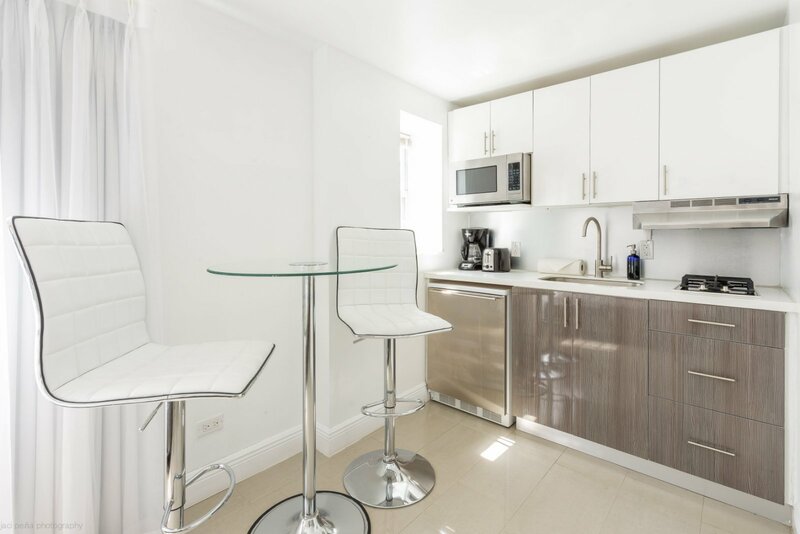 The suite also boasts free Wi-Fi, a kitchen and a dining table. 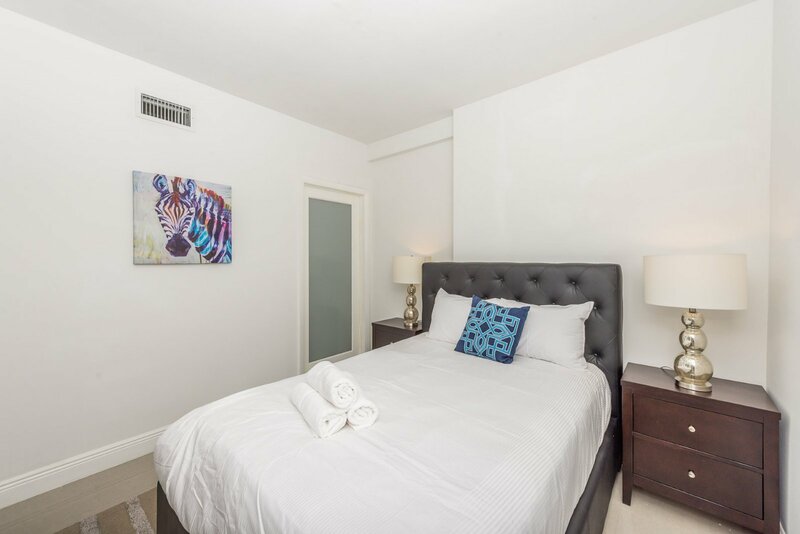 Measuring an expansive 600 square feet, these suites accommodate up to six guests; they include a separate bedroom with a king bed and a lovely work area with a desk, as well as two double beds in the main room. 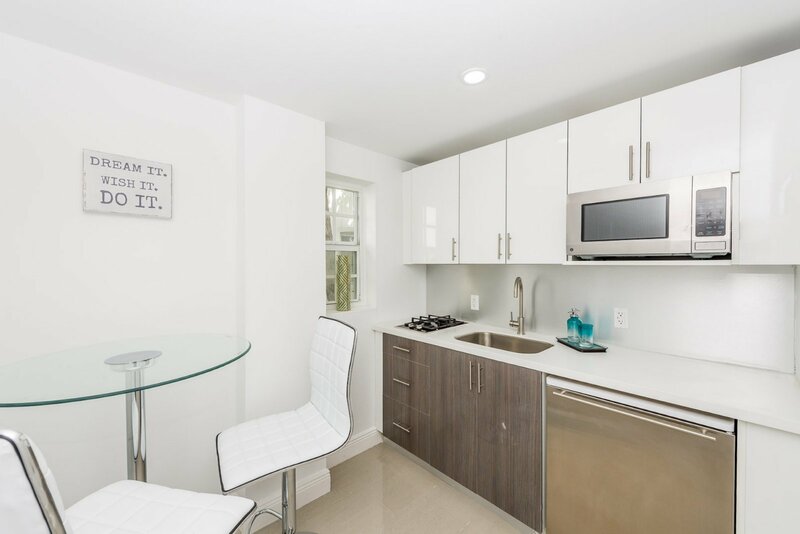 Make use of your in-suite kitchen and amenities including a flat-screen TV, free Wi-Fi and a dining area that seats four. 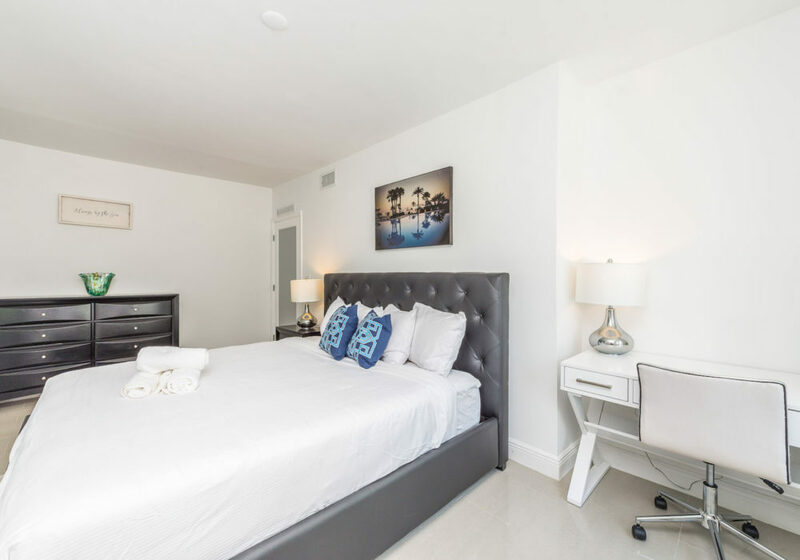 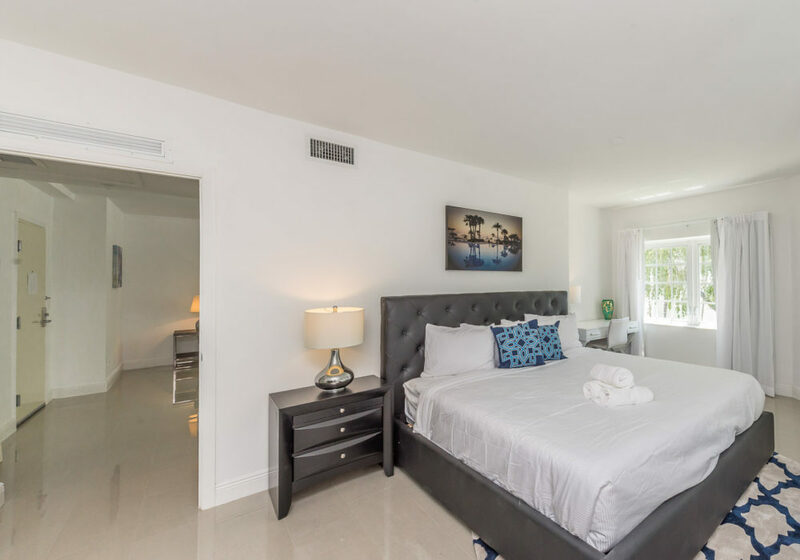 Groups travelling to South Beach will appreciate our spacious Triple Studio Suites, which include three double beds, a bathroom with premium amenities and a fully equipped kitchen. 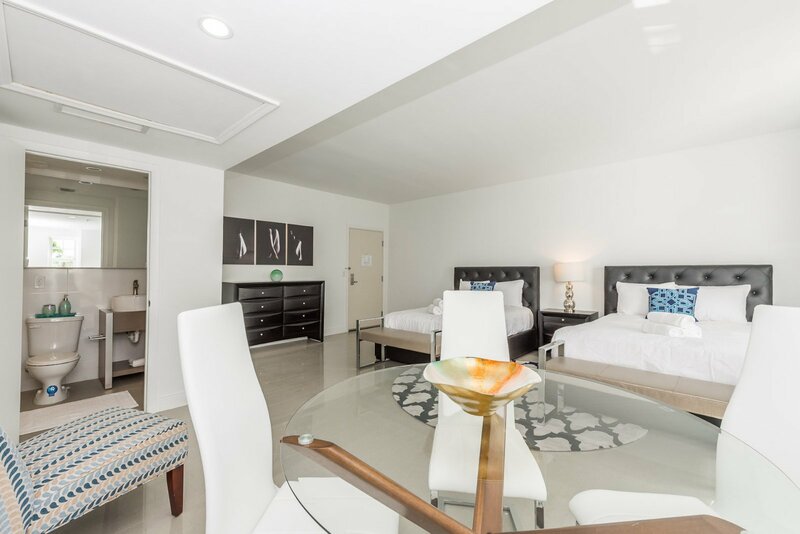 These suites also feature dining area, a flat-screen TV and free Wi-Fi. 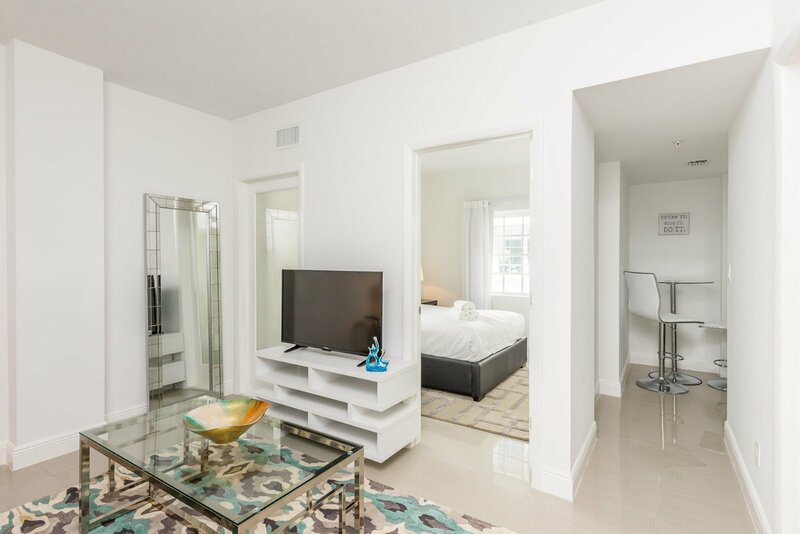 Surround yourself with luxury in these large suites, which offer free Wi-Fi and enough space for families, groups and extended-stay travelers to feel at home. 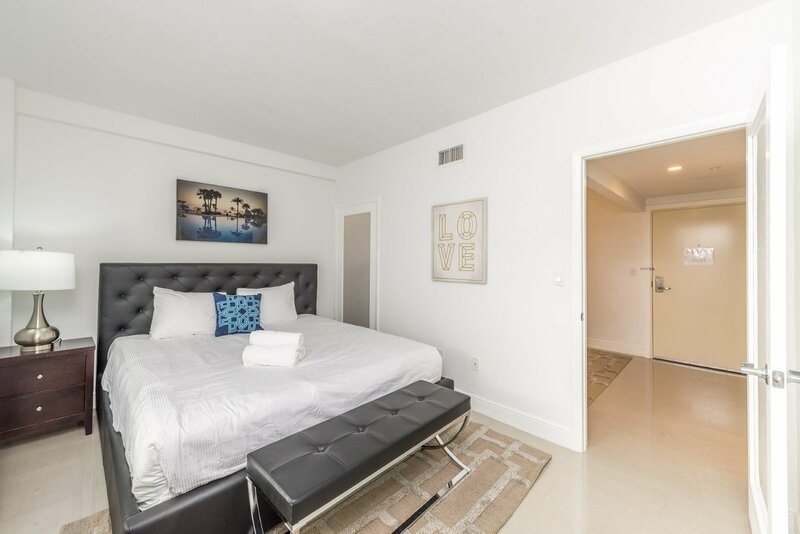 One bedroom offers a king bed, while the other includes two double beds. 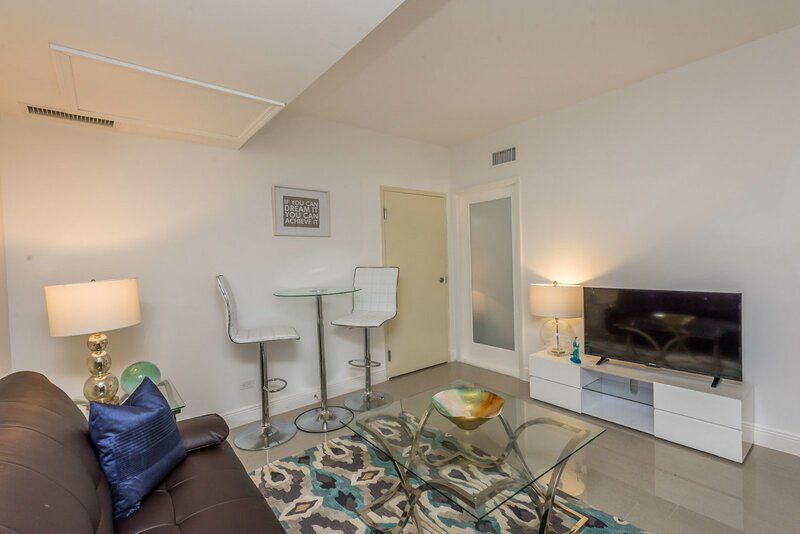 The living room features a sofa bed, and the fully equipped kitchen provides a dining table for four. 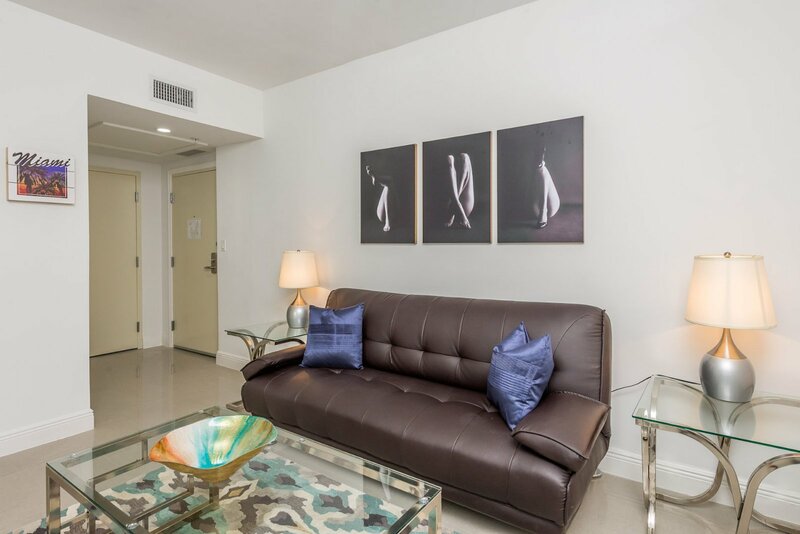 Enjoy the freedom to stretch out in these impressive, 850-square-foot suites. 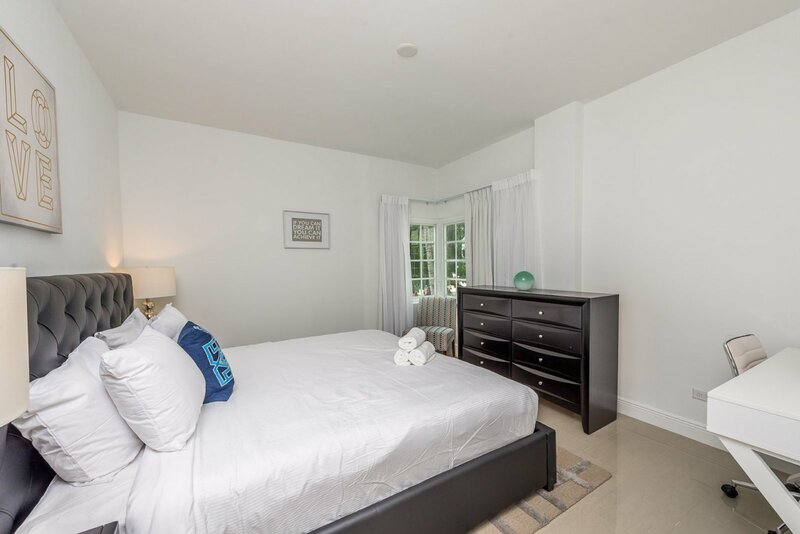 Three separate bedrooms include a king, queen and double bed, respectively. 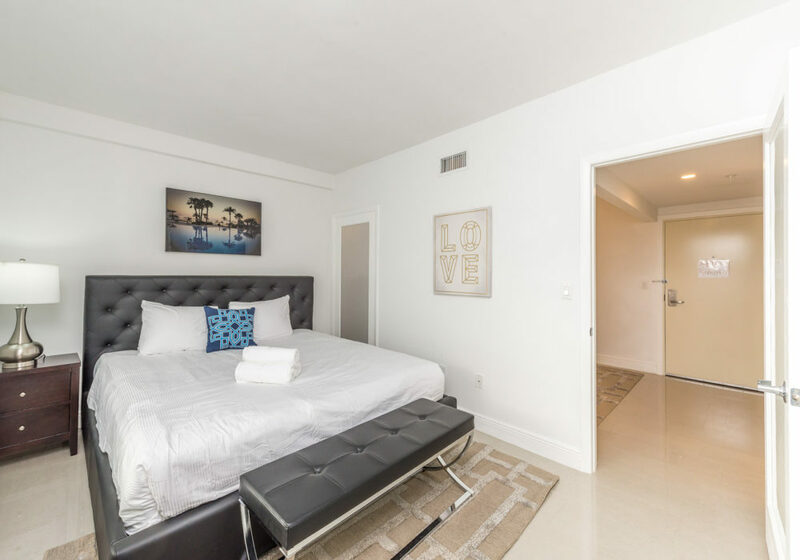 Gaze out at the Miami Beach skyline or prepare a feast in your in-suite kitchen before relaxing in the living room, which includes a sofa bed. 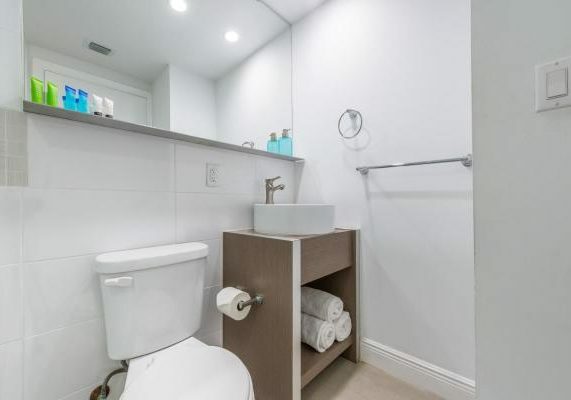 Other perks include two bathrooms and free Wi-Fi.